Based on Meredith Willson's six-time-Tony-Award-winning musical comedy, The Music Man features some of musical theatre's most iconic songs and a story filled with wit, warmth and good old-fashioned romance. 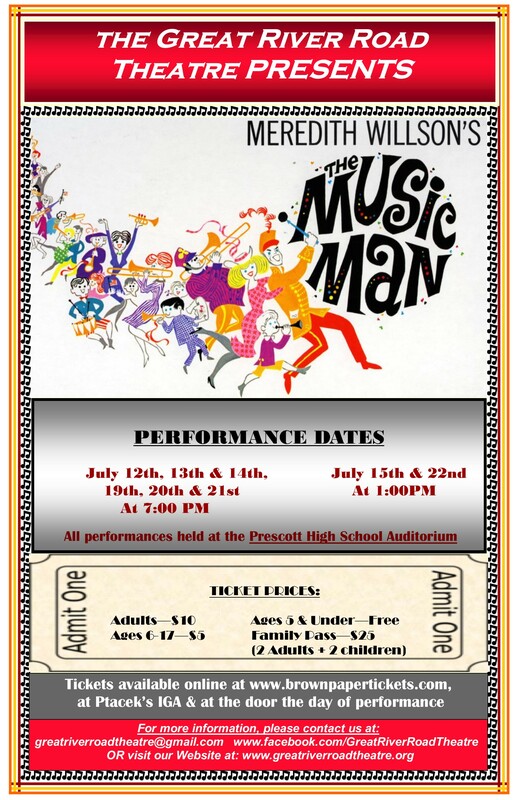 Â The Music Man is family entertainment at its best - a bold, brassy show that will have the whole town atwitter! Master showman Harold Hill is in town and he's got seventy-six trombones in tow. Can upright, uptight Marian, the town librarian, resist his powerful allure? Â The story follows fast-talking traveling salesman, Harold Hill, as he cons the people of River City, Iowa, into buying instruments and uniforms for a boys' band he vows to organize. The catch? He doesn't know a trombone from a treble clef. His plans to skip town with the cash are foiled when he falls for Marian, whose belief in Harold's power just might help him succeed in the end - in spite of himself.